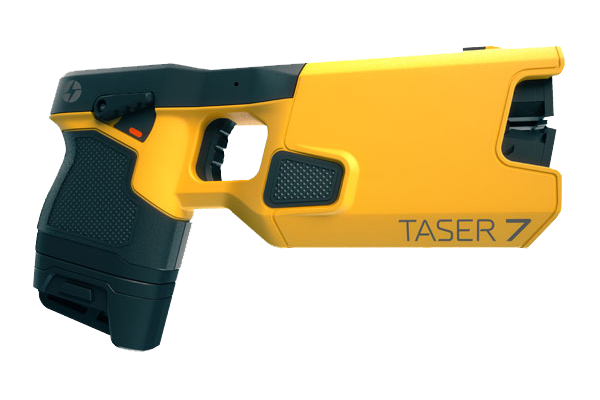 Meet TASER 7 – the most effective TASER weapon ever. The advanced performance of TASER 7 makes for greater confidence in the field with enhanced connection to the Axon network and streamlined workflows, and it's all backed by groundbreaking training to help agencies show commitment to serving their communities. 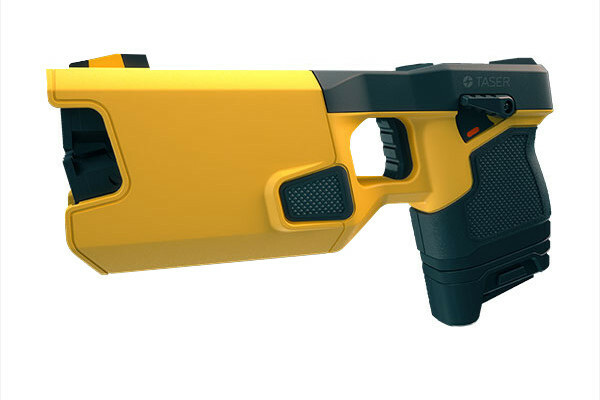 TASER 7 is the most effective CEW ever because it dramatically improves performance with misses, clothing disconnects, and close probe spreads – giving officers even more confidence to de-escalate or pause dangerous situations. New Rapid Arc technology outperforms all previous CEWs - even in instances of narrow probe spreads - and Adaptive Cross-Connect enables full incapacitation even at close range. Spiral darts fly straighter and faster towards a daylight green laser with nearly double the kinetic energy to compress loose and hanging clothing. Delivers similar electrical charge as previous models but at a rapid pulse rate, causing quicker incapacitation for a safer resolution to the situation. 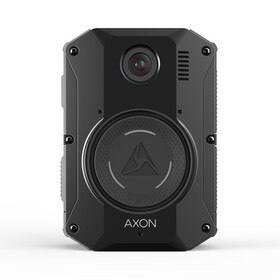 TASER 7 is the first CEW to be wirelessly connected to the Axon network. This lets you unlock new benefits, like easier inventory management and firmware updates, all without needing the cables required with previous CEWs. 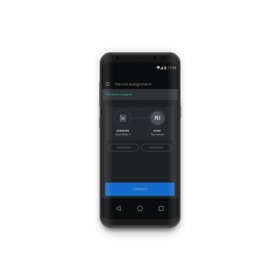 You can recharge batteries via docking and walking, and even assign weapons and accessories in seconds with the Axon Device Manager mobile application. Assign a handle, cartridges, or batteries in a matter of seconds with the Axon Device Manager. TASER 7 automatically uploads improved pulse graphs and device logs and updates firmware when the battery is docked. Track TASER 7 device status within Axon Evidence for smooth program management. 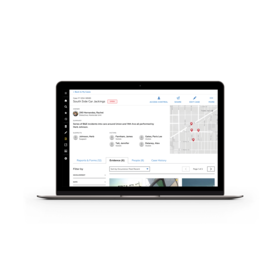 Prove exactly the level of training received with trackable modules and assessment scores for users. Equip officers for difficult use-of-force situations with cutting-edge virtual reality training, and experience a re-designed classroom training curriculum with more hands-on time. More hands-on time means more opportunities to fire cartridges and practice scenarios using our new HALT suit that avoids pin-prick injuries. 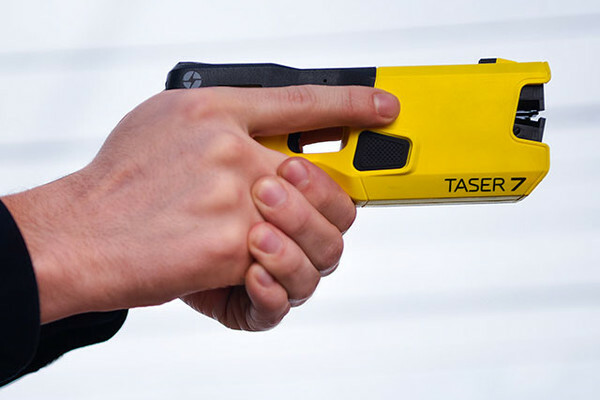 TASER 7 is a comprehensive program that you can adopt to help make your community safer. And the simplest way to roll out your program is through the Certification Plan. Account for all aspects of your CEW program in just one plan, covering everything from the weapon to in-person and online training. This plan was designed to arm your agency with everything needed for a robust training program—from cartridges to our online content. And by bundling cartridges and training, you can save up to 30%. Oculus Go is a registered trademark of Oculus VR, LLC. Interested in TASER 7? Fill out the form to contact our sales team, or download our brochure to learn more about the weapon.